The Spark Community Cafe's sign is lit up for opening night. 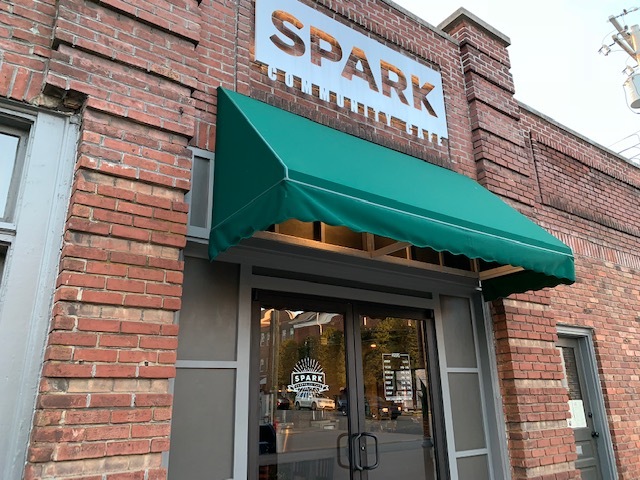 On Wednesday, March 27th, 2019, the multi-year project of Spark Community Cafe opened to the public. The new community restaurant is located on Main Street in Versailles. The cafe features a variety of farm-fresh dishes and offers multiple affordable and delicious choices for any meal. Spark is a pay-it-forward style lunch and dinner eatery, meaning that the prices on the menu are a suggestion. As stated on the Spark Cafe website, “If your pockets are full, pay-it-forward. If your pockets are light, pay-what-you-can. 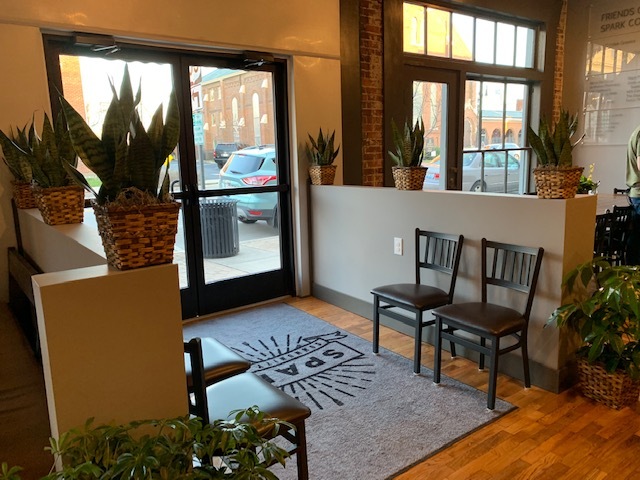 If your pockets are empty, volunteer your time.” The opening night revealed beautiful remodeling of the previously small downtown space. The entrace of the cafe features a tasteful and balanced interior. The cafe is an excellent space for a quick brunch or lunch date. More information, click here to visit the official Spark Community Cafe website.